Raising long-term capital is vital for the sustainable development of the local economy in the future, and rather than relying entirely on locally sourced capital, Vietnam should look to capitalise on foreign resources to rectify the issue of thin capitalisation and enrich its capital market by improving market access to foreign investors and allowing foreign-invested companies to be listed on the local bourses. Many Vietnamese businesses are struggling with a debt-to-equity ratio that is too high to thrive at present. Some will eventually manage the high cost of borrowing to make earnings, while others could be making losses for a year, hoping to pull through in the next. Deputy Prime Minister Vuong Dinh Hue, at the Vietnam Economic Forum on the Capital-Finance Market held in Hanoi last week, cited data by the General Statistics Office of Vietnam showing that 53 per cent of businesses operating in Vietnam made no profit in the year ending on December 31, 2016, and they thus could not fulfil their corporate tax obligations to the country. Fiachra Mac Cana, managing director and head of Research at Ho Chi Minh Securities Corporation (HSC), noted that banks in Vietnam are currently under-capitalised, so they have difficulty implementing Basel II standards. What is more, most banks are unable to issue long-term bonds and offer long-term mortgages for terms of 20 to 30 years due to the lack of long-term capital. The lack of long-term funds could also create some obstacles to the progress of state-owned enterprise (SOE) equitisation. This can be observed through the large offerings of Sabeco and Vinamilk, which, as Mac Cana pointed out, depended largely on foreign rather than domestic buyers, as the latter did not have the funds available for the purchase of SOE stakes. To rectify the issue of thin capitalisation and prepare Vietnam for a longer game in the future, it is of utmost importance to enhance the capacity of the local capital market by enriching it with foreign capital inflows. 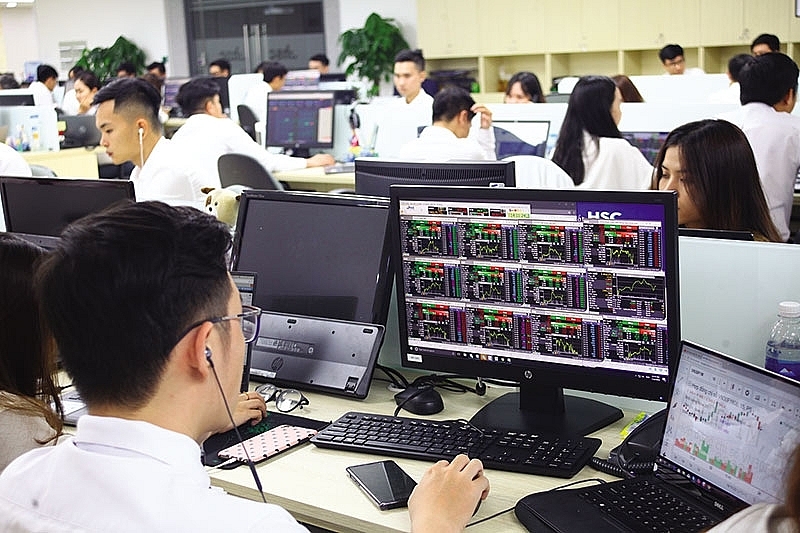 To do this, Vietnam would first need to make way for foreign access and have the regulations ready to support the listing of foreign-invested enterprises (FIEs) on its stock exchanges. Citing the possibility of an upgrade from “Frontier” to “Emerging” on the MSCI Emerging Markets Index, which Vietnam has been pursuing for years, he said that a lack of market access will continue to be a hurdle preventing the country from receiving the necessary market lift if it does not consider opening or increasing the foreign ownership limit (FOL) and reducing the number of restricted sectors. If the FOL is not eased, foreign investors will have nowhere to inject their cash, as the limit has been reached at many companies and banks. For instance, eight of the VN30 stocks have reached their FOL, and nine out of 16 listed banks also have no more room for foreign investors. Mac Cana suggested non-voting depository receipts (NVDR) as one of the most effective ways to entice foreign capital into Vietnam, with proven benefits seen in neighbouring countries such as Thailand. Some advantages of NVDR include addressing national security concerns and controlling voting rights so that foreign buyers can acquire as many shares as they desire. Taking the case of foreign-invested Vietnam Fortress Tools JSC (Fortress) as an example, the company has missed its initial plan to list on one of the main bourses in the first half of the year. While this is partly due to the seasonal decline in equity markets in May, it is also attributable to the time taken by the State Securities Commission (SSC) to issue permission for the Taiwan-backed manufacturer of garden tools to be listed. SSC needs more time to round up a set of regulations that governs the listing of FIEs like Fortress. In addition to growing the equity market, developing the bond market is fundamental to muster long-term capital for the country. According to the State Bank of Vietnam (SBV) Deputy Governor Nguyen Thi Hong, the market value of government bonds and corporate bonds are at present equivalent to around 20 and 1.25 per cent of GDP, respectively. They are, however, of short-term rather than long-term tenures, and therefore cannot provide a long-term capital source for the economy. For the corporate bond market in particular, bond investors like VinaCapital would look at several factors to ensure success in Vietnam, including the establishment of credit rating agencies with creditability and reputation to rate the corporate bonds and the liquidity of the market with the bonds to be listed on the stock exchange at a future point in time so that investors can sell the bonds. “The third thing that we would look for is some form of bankruptcy rules and regulations, simple ones, because the bond holders feel that if the bond issuer cannot pay, then they and other stakeholders, can request the company to go through a simple bankruptcy process in order for the assets to be turned into cash and repay the banks, the creditors, and the bond holders,” said Andy Ho, managing director at VinaCapital. Such a bankruptcy system may give bond investors a higher level of confidence to participate in the corporate bond market, Ho added. HSBC Vietnam’s CEO Pham Hong Hai said that there is another route to help Vietnam mobilise funds from foreign investors, which is through international bond issuances. Nevertheless, this channel has been underutilised thus far as the country does not have a mechanism to allow foreign investors to hedge their FX risks. For the development of the forward market, Hai noted that Vietnam will need to come up with a short-term interest rate to serve as a standard to determine the forward exchange rate. Since 2013, life insurance companies have been launching pension insurance products. Asset management companies like us have the mechanism to foster the growth of this product. I think there are three reasons why this product has not taken off in the local market in the past five years. The first is tax mechanism: to encourage investors to take part in the pension fund plan, we must have a preferential tax programme in place, for both input and output investments, for private investors and employers. The current tax deduction of VND3 million ($132.7) a month for employers and VND1 million ($44.2) a month for private investors is considered rather unattractive. The second is education and training on the product for investors. Our survey conducted on 20 companies at the beginning of the year revealed that most of them have no idea about our pension fund products. And the third one is the mechanism for the product. Investors in Vietnam are not familiar with long-term investment, but investments under the pension fund scheme often have a term of 20-40 years, so we must have a mechanism for investors to withdraw their investment during its tenure under certain conditions, such as the buying of the first property or tertiary education. Having taken part in the restructuring progress of numerous small- and medium-sized enterprises (SMEs) with capital scale averaging VND10 billion ($442,478) or less and revenue of VND500 billion ($22.12 million) or less, we have realised that these businesses do not have a financial structure in place, with a great deal of confusion on short-, medium-, and long-term funds. When they expand at some point in time, they will need more funds, yet with limited financial knowledge, they often find it hard to access bank funds, let alone issuing corporate bonds on their own to mobilise funds or look into financing options at finance leasing companies. Black credit, as a result, has become an informal source of capital for these SMEs. It is remarkable that up to 60 per cent of the total production and manufacturing costs at these businesses are actually black credit. Lacking mid- and long-term capital is a common issue for local SMEs, and black credit has emerged as an indispensable option even though the interest rates are sky high. This leads to a lofty borrowing cost for SMEs, but it is not tax-deductible, and the businesses have to validate the loans via other forms of expenses, leaving little capital for the businesses. So we would call for a legal framework to legalise the use of black credit to somehow help SMEs utilise this source of capital at a lower cost.